Right now, CoinMarketCap is listing 1000+ active cryptocurrencies. This number is expected to increase as more ICOs are happening each day. While Bitcoin is rising in price, its market share is decreasing, At the start of 2017, Bitcoin was holding a market share of 85%. This has now reduced to a 50% market share. This is happening because more and more cryptocurrencies join the race. One such cryptocurrency is Counterparty (XCP). It has grown at a steady pace since its launch in January 2014 with more than 150% growth. But unlike many other cryptocurrencies, its concept is entirely novel and unique. And perhaps most intriguingly, it didn’t start with an ICO or angel investment. The Counterparty is built on the Bitcoin blockchain. It is a decentralized platform for creating and exchanging custom tokens. It also has decentralized smart contracts. But Waves and Ethereum also have this, so why do we need Counterparty? Yes, you are right, but the Counterparty technology uses the Bitcoin blockchain to exchange and create custom tokens and execute smart contracts. This enables it to use the secure and popular Bitcoin blockchain. This brings in a lot of reliability and security to the whole process. This brings in a lot of reliability and security to the whole process. XCP is the native cryptocurrency token of Counterparty and is also called “Counterparty”. XCP cannot be mined and was not sold in an ICO. Rather, it came into existence by using a “Proof-of-Burn” method. This simply means that a certain amount of bitcoins (BTC) were sent to an unspendable address, and in exchange of these BTC, Counterparty tokens (XCP) were generated upon the Bitcoin blockchain. You can see it on Bitcoin’s blockchain explorer where the BTCs were sent – XCP Proof-of-Burn. This was done to avoid pre-mining or ICOs. As BTCs were burned, they can never be spent again. This method of coin generation also gives a fair and equal opportunity to everyone (including the founder of the project). A total of 2,130 BTC were burned creating 2.65 million XCP tokens. These XCP tokens are used to make custom tokens and run smart contracts. 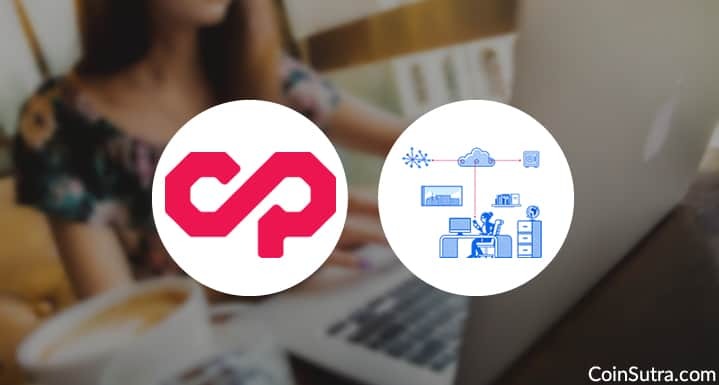 How Do Counterparty & XCP Work? Counterparty doesn’t have its own blockchain. It uses Bitcoin’s blockchain. So XCP transactions are fundamentally Bitcoin transactions with some more data embedded onto them. But only Counterparty clients can identify this extra embedded data. When you do an XCP transaction, by default, there is a fee. This fee is in Bitcoin as the Bitcoin blockchain verifies the transactions and ties it to XCP. When miners mine the Bitcoin transaction fee, the Counterparty client reads it as a confirmation and XCPs are transferred from one place to another. Counterparty clients (or nodes) are designed to read both BTC and XCP. Counterparty uses this to maintain its own ledger for XCP transactions. Robby Dermody: Co-founder of Counterparty and created Counterwallet. He has 18+ years of professional experience with software development, system administration, sales, operations, professional services, and entrepreneurship. Adam Krellenstein: Co-founder of Counterparty. Lead developer and chief architect of the Counterparty protocol. Evan Wagner: Co-founder of Counterparty. 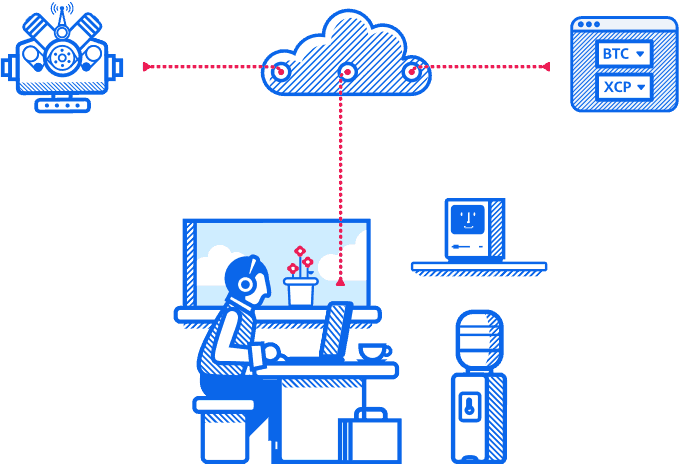 The Counterparty Foundation is an independent, non-profit organization dedicated to fostering the growth and open development of the Counterparty platform. XCP was made from a Proof-of-Burn process where 2,130 BTCs were sent to an unspendable Bitcoin address. After this, every participant was given their equivalent proportion of XCP. 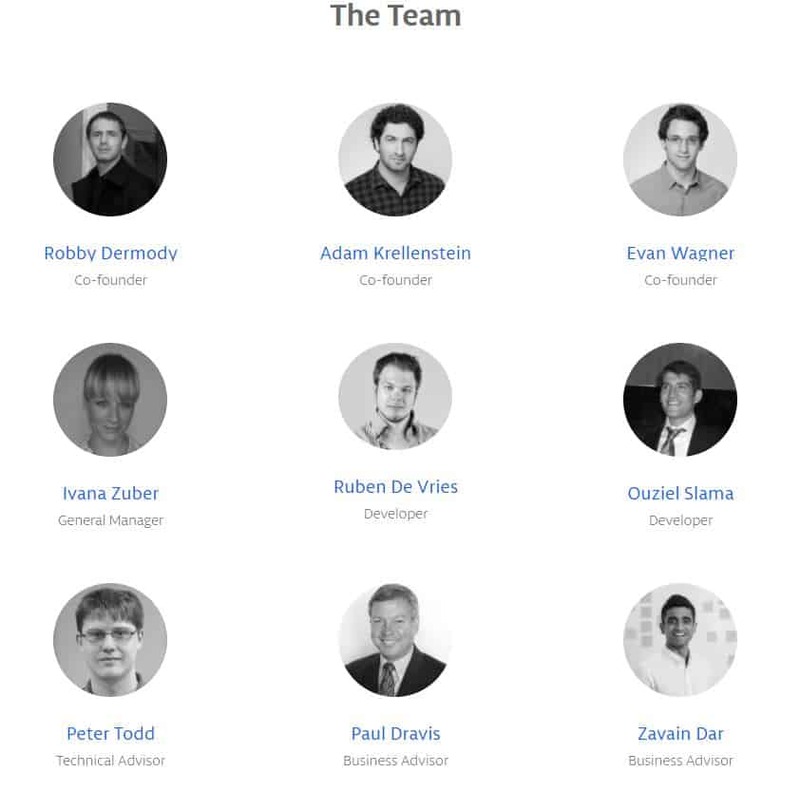 In the beginning, XCP had a supply of 2.65 million tokens. Now, there are about 2.62 million tokens left. As XCP will be used as fuel to be burnt for running its smart contracts, its total available supply will decrease over time. XCP has a fixed supply. No more XCP will be created after this, and no more BTC will be burnt for this purpose. At the time of writing this article, the present supply of Counterparty tokens (XCP) is 2.62 million, and the price of one unit of XCP is $3.2. This makes a market cap of $8 million. How To Buy And Store Counterparty (XCP)? Step 1: Convert fiat currency (USD/EUR/CNY) to cryptocurrency. Convert your fiat currency to BTC/ETH/LTC or any other popular cryptocurrency. For converting fiat into BTC, you can see our earlier guides: Buy Bitcoins Using Debit/Credit Card and Buy Bitcoin Using Coinbase. If you already have BTC/ETH, you can skip this step. Step 2: Convert cryptocurrency (BTC/ETH) to XCP. Now that you have your Counterparty tokens (XCP) in hand, let’s move them to a wallet. Step 3: Move from exchange to Counterparty wallet. Now, transfer your Counterparty tokens (XCP) from an exchange to a Counterparty-supported wallet. 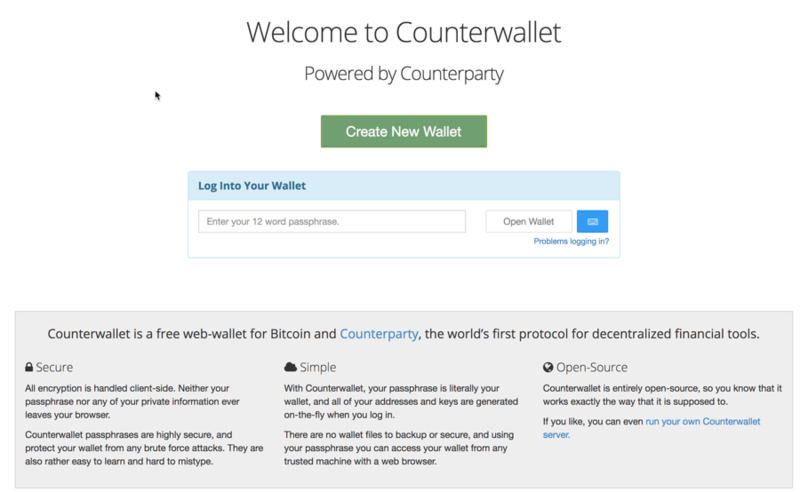 Counterwallet – This is an official, free, open-source wallet for storing XCP. You can also store your BTC in this web-based wallet. CoinDaddy – Another open-source and free web wallet. Note: While making your wallet, write down your passphrase and keep it safe. If you lose this passphrase, you will lose access to your wallet forever, and your XCP will be lost. Cold Storage: If you want a cold storage option for storing XCP, create an Armory Offline Wallet using this guide. For other wallet options for storing Counterparty tokens, check out this official guide: Counterparty Wallets. All Counterparty wallet addresses are equal to Bitcoin addresses. You can store BTC, XCP, and user-created custom tokens on any Counterparty wallet address. You can even make a regular BTC paper wallet and keep your XCP on it. See our guide on How To Make A Bitcoin Paper Wallet. XCP came into existence because a certain amount of BTC was burnt in exchange for the XCP creation. XCP is essentially a different form of Bitcoin. But BTC and XCP are not competitors. In fact, XCP can’t exist without BTC. Counterparty uses the basic features of decentralization and security offered by Bitcoin and extends it for the creation of custom tokens, decentralized exchanges, escrow processes, and smart contracts. Counterparty (XCP) and all of its custom tokens use the same Bitcoin infrastructure. XCP and other custom tokens use exactly the same Bitcoin addresses and Bitcoin blockchain for transactions. Though XCP transactions happen on the Bitcoin blockchain, they can’t be seen directly on the Bitcoin explorer. There is a special block explorer called Counterparty Chain for viewing such transactions. Counterparty and Ethereum both have smart contracts, but both also have their own pros and cons. Counterparty uses the Bitcoin blockchain. Ethereum has its own blockchain. Counterparty transactions have a 10 minute block time. Ethereum transactions take roughly 12-14 seconds. Counterparty doesn’t have its own smart contract language. Ethereum has its own smart contracts language (Solidity). 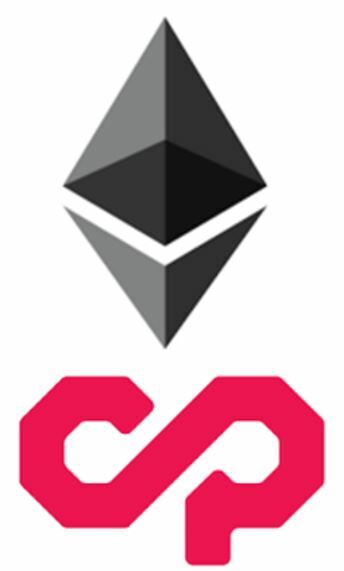 To overcome their problems with smart contracts, Counterparty imported over the EVM – Ethereum Virtual Machine. Since then, Counterparty has grown at a decent pace. It was launched on 9 January 2014 at the price of $7 per unit, and now in the month of June 2017, it reached its all-time high of $18. Moreover, as the XCP currency is tied to the Bitcoin blockchain, it will grow as the technology of Bitcoin improves. Also, XCP is being used as a fuel to be burnt for running smart contracts on the EVM. Hence, its total available supply will decrease over time as no more XCPs will ever be created. This indicates a rise in the price of XCP in the long run. What do you think about the Counterparty platform? Do you think it’s an interesting idea? Do you see the price rising or falling in the future? Let me hear your thoughts in the comments below! 2.1 How Do Counterparty & XCP Work? 3 How To Buy And Store Counterparty (XCP)? check every coin price jumed like FCT/ETH /ETC /LTC 10X. But urfortunately XCP is 12$ .. 7$ when launched in 2014. In three year coin price rice only 5$ . We can get more intrest on banks rather than XCP.